For over a century, Trenton Mills has been providing top of the line knit products for a variety of industry needs. By combining an experienced work force with cutting edge technology, Trenton Mills is a leading manufacturer of quality knit products today, just as we were over 100 years ago. What Sets Trenton Mills Apart? Experience. 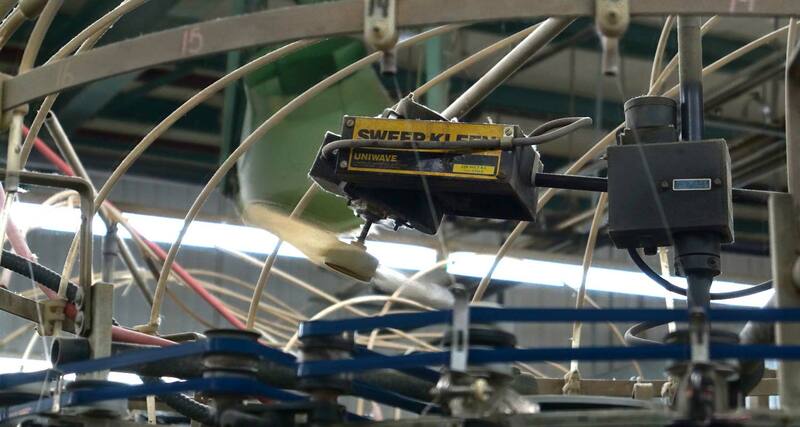 With over a century in the textile manufacturing industry, not only are we the most experienced, but we also understand the needs of our customers.This understanding allows us to create better products to meet those needs. We also understand not every need is the same, so we offer specialty products as an option as well. If you are in need of custom knitting for your application, please get in touch and one of our specialists will be glad to discuss your project with you. The year, 1884, was an exciting time in the little town of Trenton, Tennessee. One of the favorite pastimes, particularly on Sunday afternoons, was to load the family in a horse-drawn buggy or wagon and ride down near the railroad tracks to look with pride upon a new, two story brick building nearing completion to house a cotton mill which was to become the town’s first industry. It was known as the Trenton Cotton Mill Company, and was incorporated by a special act of the Legislature that year. There was reason for enthusiasm among the town’s leaders, for this new industry would provide jobs for 160 people, and have a weekly payroll of $600. During the early years of its operation, the lower floor of the mill building was used as a weaving room, with 160 looms in operation. The second story housed the carding and spinning machinery, with forty carding machines and 6,000 spindles on the spinning equipment. The first products were woven fabrics such as sheeting and drills, and cotton batting which was sold to furniture and mattress manufacturers. One of the things to which the owners proudly pointed was the fact that the new mill, lighted by its own electric system, used over two hundred incandescent lamps. The original building had burned in 1929, and had been rebuilt. When the mill was rebuilt, the looms were replaced with knitting machines, and the plant’s principal products were meat bags and wiping cloths. The mill was acquired by Dyersburg Fabrics Inc. on October 28, 1964, and with the acquisition came a new future for Trenton Mills. The new owners launched a bold modernization and expansion program. Then, in September 2001, a new era began for Trenton Mills when the Donner family, formerly associated with Dyersburg Fabrics, purchased the business from Dyersburg. Capital improvements have begun, with the first series of new knitting machines already installed and running production. We pride ourselves on product quality and service second to none in our industry, and we appreciate the opportunity to earn your business.